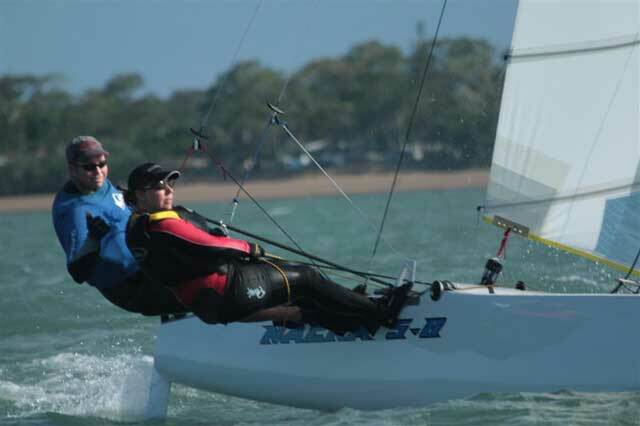 A total of 63 Nacra’s attended the recent 31st Nacra nationals held at Hervey Bay. 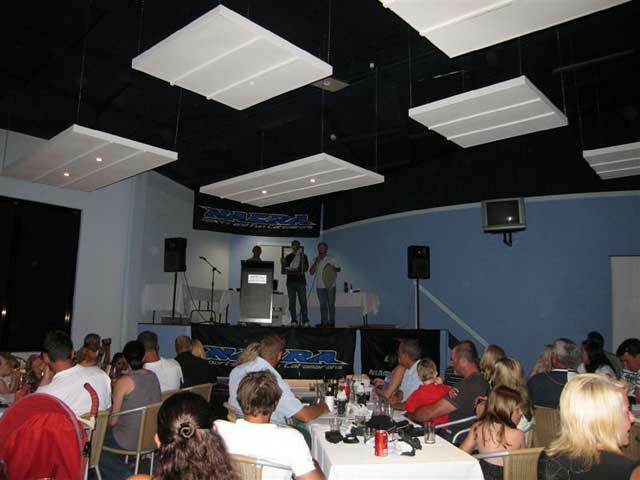 We were very pleased at the turn out of Nacra’s competing at this event. All fleets attracted good numbers. This year saw the introduction of the Nacra 4.5 holding its first ever title.This boat is achieving good fleets throughout the country and attracting young sailors to the class. The boat can either be sailed 1-2 up depending on crew weight. Racing in all other classes were very tight with the best sailors managing to win the event in the end. The Nacra nationals are obtaining a reputation not only as a great sailing event but more important a very social week where all sailors get together and have a fantastic time off the water as well. This year we attracted more than 15 young sailors under the age of 18 which was great for the future of the class. Many ladies also sailed during the week. With one of them claiming the 5.8 title. Not only was the sailing good during the course of the week, the off water events were a great success as well, with the Beach party seeing many Nacra’s sailors dancing the night away into the early hours of the morning. All states attended the event and was great to see 7 Nacra’s make the long trip across from WA.